Lymphedema is a disease caused by damage or malformation of the lymphatic system. Often Lymphedema is brought on by surgery and/or radiation for cancer treatment. Chemotherapy may also play a part in the causation of Lymphedema. Lymphedema is a progressive disorder that can be greatly improved through the use of Electro-Lymphatic Therapy (ELT) and Manual Lymphatic Drainage (MLD). If you are looking to find more information about lymphedema such as other websites, books, or what kind of compression stockings to get, click on the Lymphedema Resources Page. 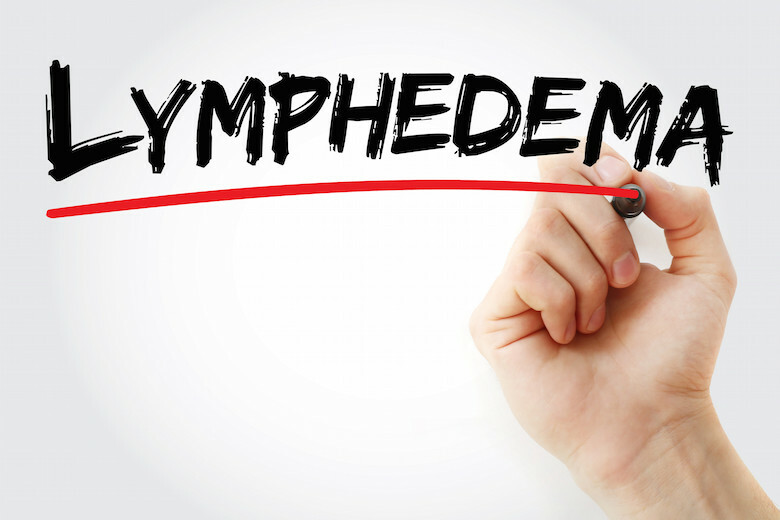 Advanced Lymphedema is treated by Complete Decongestive Therapy (CDT) of which Electro-Lymphatic Therapy (ELT) and/or Manual Lymphatic Drainage (MLD) are a part. 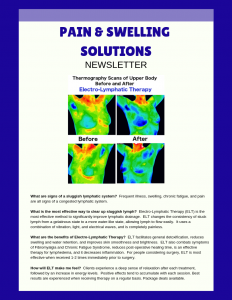 Pain & Swelling Solutions offers treatment for Lymphedema. Book your appointment today. As part of Complete Decongestive Therapy (CDT), compression bandaging is applied to the affected area. Breaks up hard (fibrotic) tissues, making the area softer. If a person is able to use Electro-Lymphatic Drainage (ELT), the necessity for compression bandaging is often minimized. Lymphedema is managed long-term (following Complete Decongestive Therapy) by wearing specially fitted compression garments. Make an appointment with Pain & Swelling Solutions and learn all about Lymphedema and how to manage it while you get your treatment. Check out our Resources Page to find out what books and organizations we recommend for further information. Visit our Educational Info Page where you can find detailed information about Lymphedema and how it happens.